Every few years since 1977, the World Health Organization (WHO) issues a newly revised list of what the international agency considers to be essential medicines. Essential medicines, as defined by WHO, are those medical treatments that “satisfy the priority health care needs of a population.” The most recent model list of essential medicines (MLEM), published by WHO last April, includes 410 essential medicines. These include anaesthetics, antiallergics, antibacterials, disinfectants, hormones, mental health treatments and vaccines. Ideally, essential medicines are available within functioning health systems at all times in adequate amounts, in appropriate forms of dosage, at affordable prices and with assured quality. This is much more difficult to achieve in developing countries, where pharmaceutical spending can be as much as two-thirds of all public and private health spending. By contrast, pharmaceutical expenditures make up one-fifth of public and private health spending in developed countries and anywhere from 15 to 30 percent in transitional economies, according to WHO. The vast majority of medicines found on WHO’s model list of essential medicines are off-patent according to information published by the World International Property Organization (WIPO). As of 2013, 95 percent of the 375 pharmaceutical compounds on that year’s MLEM were off-patent, indicating a high likelihood that generic equivalents of treatments are available. Going back to the early 2000s, the percentage of essential medicine on WHO’s MLEM which are off-patent has consistently been between 90 to 95 percent. 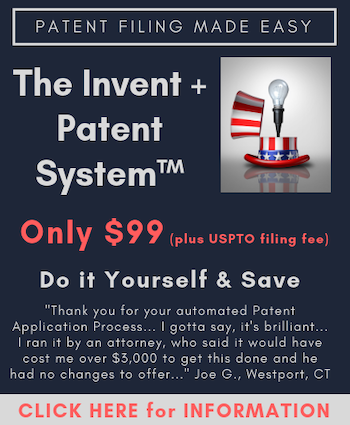 Thus, it seems clear that the patent system has served its intended purpose: To incentivize the creation of important, innovative, even live saving products that society can reap the benefits from long after the exclusivity of the patent has expired. That 2013 WIPO essential medicines report also identified the 20 pharmaceutical drugs which are likely to be under patent protection in developing countries. 13 of these patented essential medicines are treatments for HIV/AIDS, including efavirenz, emtricitabine, tenofovir and combination drugs like lopinavir + ritonavir. Other patented essential medicines target diseases such as hepatitis, influenza, cancer, malaria and eye infections. There has long been a friction between the concept of essential medicines and patent protections which allow pharmaceutical companies to commercialize their innovative medications. A 2002 study titled Patents, International Trade Law and Access to Essential Medicines makes the argument that limiting patent rights would allow greater access to medicines without negatively impacting the profits of pharmaceutical developers. One data point it brings up is the 1 percent of global pharmaceutical sales which are contributed by the entire continent of Africa. Reducing patent rights in this region, the study’s authors presuppose, wouldn’t impact revenues because of the small percentage of sales. Another point made by the study, co-sponsored by Médecins Sans Frontières Canada and the Canadian HIV/AIDS Legal Network, deserves to be refuted. In trying to make the point that international intellectual property laws make the playing field uneven for developing countries, the study tries to paint patent laws as a non-fundamental aspect of economic growth and prosperity. “Most industrialized countries did not adopt their current patent laws until after reaching a certain stage of economic, social and technological development,” the study reads. Here in the United States, the history of exclusive rights for inventive products and processes go back to colonial America, well before the U.S. Constitution included a patent and copyright clause. An issue of the Cambridge Sentinel published September 26th, 1942, discusses the first record of a patent issued in 1641 by Massachusetts general court to a Samuel Winslow for a method of making salt. That patent was issued under order of the British government, but the United States was crafting patent laws during the earliest days of the country’s existence. Even if the study’s authors are technically correct that “most” nations didn’t adopt patent laws until after industrialization, the case can certainly be made that the United States, a model of industrialization through the mid-20th century, was able to become an industrial nation because it enabled inventors to hold patent rights. So on this point, the study fumbles at least somewhat. Furthermore, there is a wildly inaccurate notion put forth by some elites who do not particularly like patents that patents played no role in the economic and technological advances the world saw during the Industrial Revolution. If that were true it would be some evidence that patents are not necessary, but the truth is quite different. Indeed, according to Dr. Mariano Zukerfeld, “patenting trends in England skyrocketed toward the end of the 18th century.”Patent grants in England started to significantly increase beginning in 1757 and continued to increase throughout the Industrial Revolution. Zukerfeld also concludes that “the English patent system contributed to the industrial revolution by a curious and unintended balance: it encouraged dreams of individual enrichment that were not going to be realized for the vast majority of the inventors.” Therefore, patents worked as they were designed — as an incentive to innovate. Patents during the Industrial Revolution fostered innovative activity by creating economic, social and technological development. Thus, it is pure fiction to suggest that patent laws are adopted only after economic, social and technological development has been achieved. Elsewhere, there seems to be a more complex understanding of how patents and intellectual property rights affect essential medicines. A study published in November 2012 in the peer-reviewed scientific journal PLOS ONE was conducted to look at the effect on intellectual property rights on the treatment of non-communicable diseases (NCDs), which WHO estimates results in 36 million deaths per year. The study concluded that further efforts were needed to provide a more sophisticated analysis of barriers to generic availability and affordability. “We find that ensuring availability and affordability of generic formulations of NCD MLEM medicines appears to be more complex than the presence of [intellectual property rights] with [active pharmaceutical ingredient], dosage or administration patent or exclusivity protection,” the study reads.